The Hudson Valley is home to no fewer than 65 craft breweries, the most of any region in the state of New York (not surprisingly.) These liquid alchemists come in every stripe from mold-breaking innovators to Old World purists. 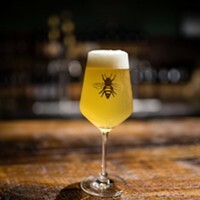 The vast number of breweries to wet your whistle can be a bit overwhelming, so to make your weekend brewery crawl a bit easier and more concise, we are doing the leg work for you. Over the next few weeks we'll be scoping out the top five breweries within each county of the Mid-Hudson Valley. We've decided to start with Columbia County. 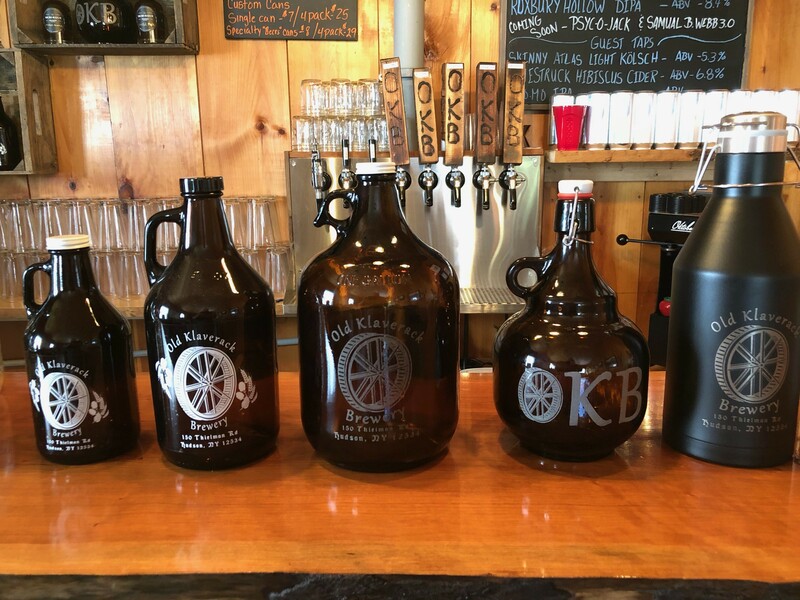 So, buckle your seatbelts, star these locations on your Google maps, and head to Columbia County to sip your way through these noteworthy breweries. 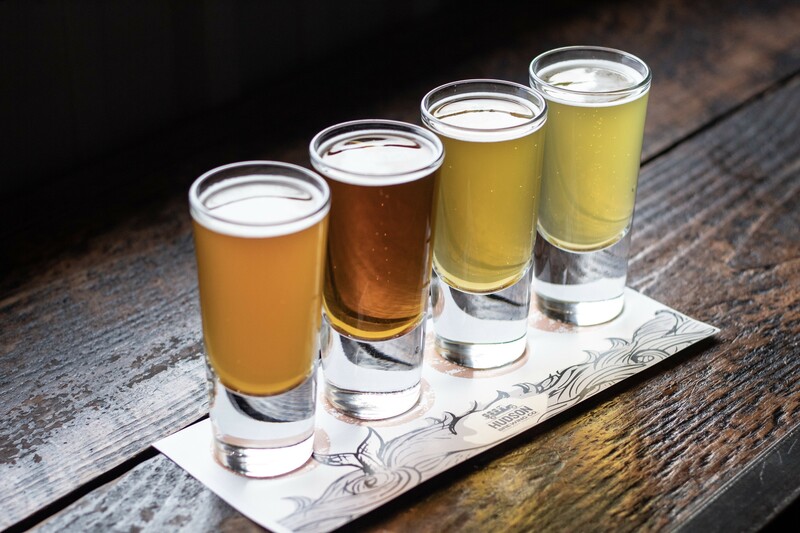 One of the most noteworthy craft breweries in all of New York, and America, Suarez Family Brewery is a must-stop for both beer geeks and casual drinkers. 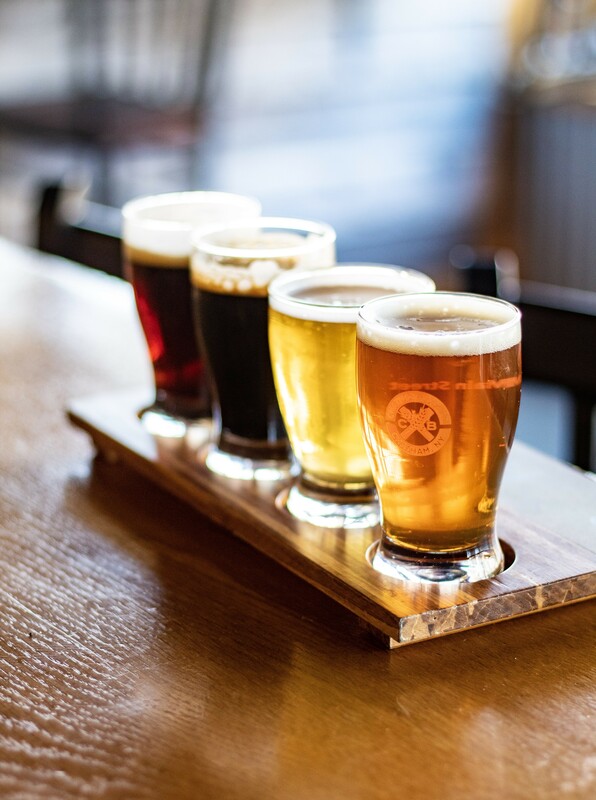 Today, the brewery focuses on just three style categories: crisp, unfiltered lagers; mixed-culture fermented ales; and crisp, pale ale style beers. Here, you won’t find the overly-hopped IPAs that have become so prevalent, but rather finely executed beers that are reminiscent of the domestic beers that Americans have been drinking for decades, except much better. The space is clean-cut and industrial with indoor-only seating. 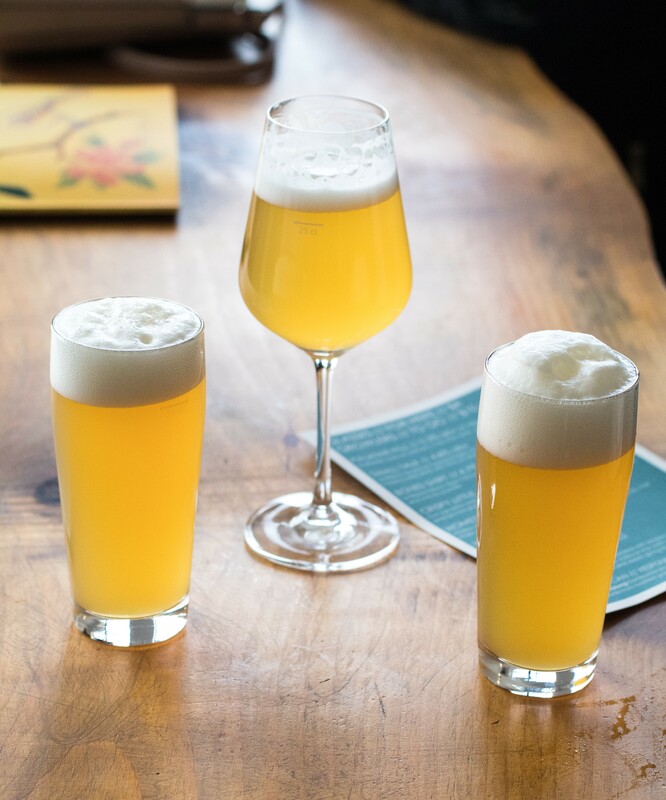 You’ll find a mix of families, locals, and visiting beer tourists at this spot—most of them seeking out the vastly popular Palatine Pils, Suarez’s award-winning classic German-style Pilsner. 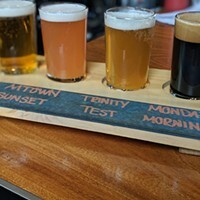 While the beers on tap are constantly rotating, you really can’t go wrong with any of their brews—the Crispy Little pale ale, and Lo and Behold porter are a couple others to note at the moment. Although they recently opened up a new 25,000 square-foot facility in East Fishkill, NY, the OG Sloop Brewing Co. in Elizaville, NY which is located on a farm, in a barn-turned-brewery will always have a special place in hearts of those who’ve been drinking their brews since day 1. There is just something about drinking their famous Juice Bomb IPA outside in the grass that makes the experience so much for authentic and enjoyable. Sloop's iconic Juice Bomb IPA. Sloop Brewing Co. brew all sorts of styles of beer, from their rich stouts (like their Chocolate Stout, or Half Baked), to their popular unfiltered IPAs (most noteworthy, the Juice Bomb IPA) - and each style is always thoroughly enjoyed. At the farm, you’ll encounter lots of locals, families, as well as visiting enthusiasts who want the authentic Sloop Brewing Co. experience. If you’re lucky (meaning they haven’t run out), you may even be able to snag some cans to take home. While many of Hudson’s frequently visited watering holes are found on the mile-long main strip, Warren Street, Hudson Brewing Co. is housed down near Hudson’s Amtrak stop, which makes it an accessible spot for city folk who want to grab a quick beer while they wait to catch their train back to the city, as well as for locals who want to enjoy a tasty brew (or three) to end their day. Their industrial-style space has a taproom and lounge area (with a foosball table! ), and an outdoor seating area for when the warmer comes around. 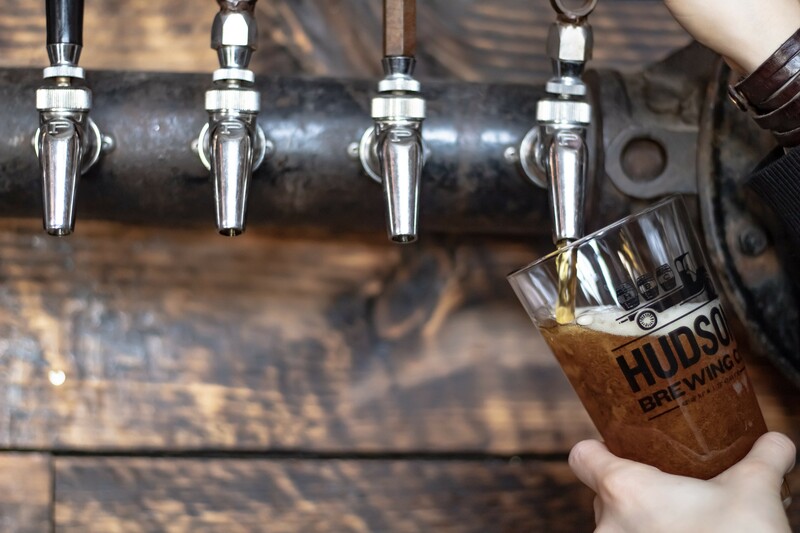 Hudson Brewing Co. have up to 12 beers on tap at any time, with the most popular brew on the menu being their Widows Walk, their fruity IPA which they also sell in cans. Their Mexican coffee stout, named Tainted Señorita, won gold at Tap NY in 2018 and rightfully so—it’s one of the best stouts we have tasted to date (no, seriously). At HBC, you will also find the State Street Swill. This juicy cider, made from real pineapples, is scarily crushable. Whether you are new to craft beer, or are a craft beer enthusiast, HBC has a style of beer for everybody from IPAs, to porters and stouts, as well as a kolsch. Put it on your list and make a day out of it, it will be well worth it. 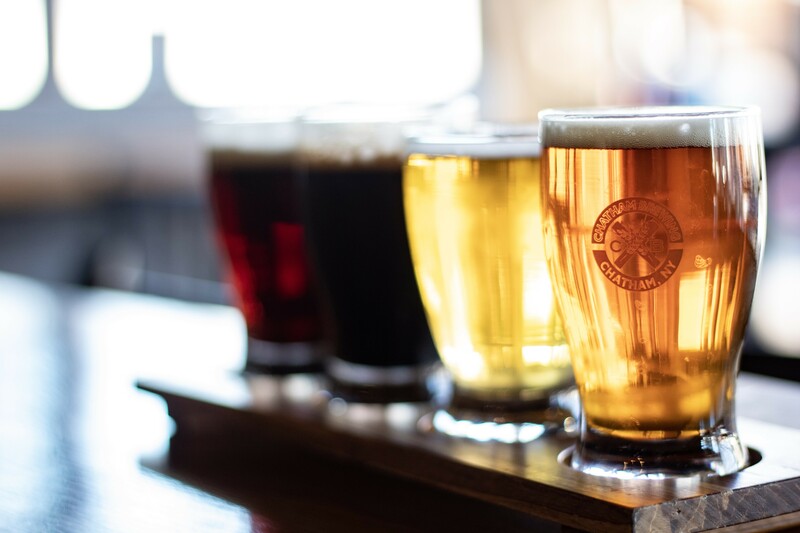 Named the Best Craft Brewery in the Hudson Valley at Tap NY in 2015 and 2017, Chatham Brewing is a must-stop for all beer enthusiasts and tourists alike. If you visit during the week, you are likely to find a wealth of locals enjoying some of the best brews the region has to offer. Chatham Brewing pride themselves on making approachable beers in traditional styles such as Bock, Scotch Ales, and Pilsners, but they are also known for more obscure brews such as their Farmer's Daughter, a rye IPA brewed with local rye for a bit of hoppy, spicy funk. Every month, they brew and distribute (locally) an experimental beer to continuously flex their creative muscles. In addition to their tasty beers, they have some bar bites and burgers to enjoy and, if you’re there on the weekend, it may even come with a side of live music. Klaverack Brewery, is what their head brewer, Erik Bell, describes as “your father’s basement bar.” Popular with locals seeking out elevated beers, it is a laid-back spot with no frills, Nintendo (yes, for real), and fresh beer that is as close to style as possible (brewerese for following traditional methods and guidelines for a given historic beer style). 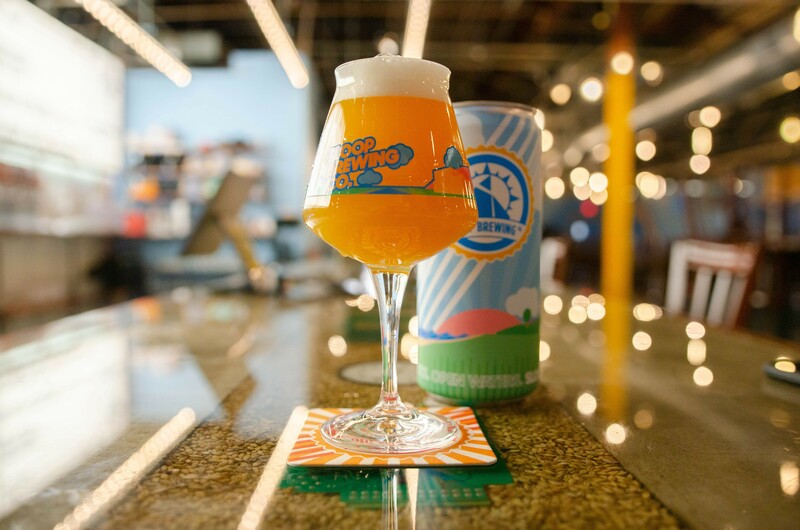 Their most popular beer is a hazy, New England-style IPA named the Spookrock, which is full of tropical fruit and citrus flavors making it a guzzler. 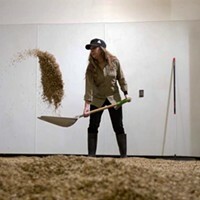 Klaverack sources their grains and malt locally from Germantown Beer Farm as some other breweries and distilleries in the region do, which adds that Hudson Valley funk to their fan-favorite IPA. Should you be interested in taking some beer to go, they have a manual sealer for 16oz cans so you can fill up a 4-pack and take a variety of their beers to-go. This March, they will be launching a true Irish nitro stout, as well as a single stout porter circa 1880 (which will run off of a CO2 system) to give their guests an idea of what Guinness tasted like back in the 19th century—that’s definitely worth a trip in our book.